Hydroponic gardening is a gardening method that does not use soil as its medium. Hydroponic gardening consists of the nutrients used being delivered directly to the plant roots. If you have the knowledge, it is an easy task to build and maintain a small drip hydroponics system that enables you to grow tomatoes or even other plants such as herbs or peppers. The small hydroponics system is a rewarding and productive gardening method and it also adds beauty to any garden or indoor setting of your house. Hydroponics tomato growers were an activity heavily performed in the past, the way to grow tomatoes that is. With Hydroponics tomato growers, this activity has been somehow modernized into something that people who love gardening would have fun to do. Hydroponics tomato growers are ideal for those living in places where the amount of land is limited. With Hydroponics tomato growers, plant lovers will be able to fulfill their dreams. 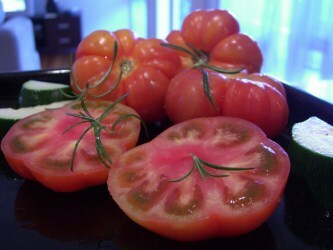 Hydroponics can not only help grow tomatoes but other crops as well. When you want to build a bubbler hydroponic system for growing tomato, you need to take a mesh pot on to the lid of the container where you have to cut the lid in order to enable the mesh pots to fit into the holes up to the lip of the mesh pots. Then, attach the tubing to the airstone and also cut a hole in the lid of your container so that the tubing can run to the airstone before placing the airstone in the bottom of your container. Next step is for you to mix the nutrient solution along with water according to the package directions. Then, fill the plastic container until the solution reaches an inch just below the bottom of your mesh pots when the lid is secured. After that you have to put your growing material in the mesh pots before planting the tomato plants in it. Then, place the mesh pots into the container lid and turn on the bubbles where the liquid should be able to touch the bottom of the mesh pots in order for the tomatoes to receive the nutrients it needs for its growth. You must always ensure to monitor and maintain the flow of your nutrients so that the tomato will grow properly.